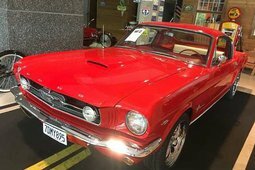 Ford Mustang – a Story about Most Popular "Pony car"
From the very first day it went on sale in 1964, Ford Mustang has appealed to a broad range of customers. Thanks to its blend of style, performance and affordability, it was loved by both women and men of all ages. Small wild horse was seen as the symbol of the emerging young society that wanted to be free. At the beginning of the sixties, every US manufacturer was thinking how to respond to the rapidly changing demographics of the American automotive market. The first wave of the post-war baby boomers grew up and these younger drivers were looking for a ride that was distinct from the big sedans their parents drove. One of Ford’s executive Lee Iacocca was confident that if a good-looking sporty car could be offered at an affordable price, it would find many buyers. 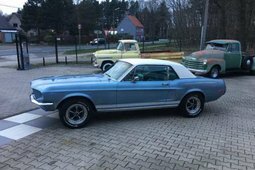 They decided to create the Mustang and its recipe was rather simple: put a compact Ford Falcon into a smart body of European proportions, add a long bonnet, short tail and big mouth. As development progressed and then production launched in early 1964, it soon became apparent that youth weren’t the only drivers in search of something new. Mustang was officially presented at the 1964 World’s Fair and instantly enjoyed a huge success. Its target customers were very different – Mustang appealed to the family guy as well as to the beach boy. 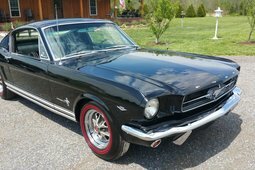 With its combination of compact size, sporty style, performance, affordability and myriad customization options, Mustang was ideally suited to the mid-1960s. It had three body styles initially – a hardtop, a convertible and a fastback version. From its first days on sale, Mustang was touted as ‘The Car Designed to be Designed By You’ thanks to its enormous range of available equipment and colour options. With so many ways for a customer to personalize a Mustang, it was possible that no two cars would be exactly alike. Engines for the first generation models (1965-1973) have ranged from 2.8-liter 105 bhp six-cylinder units to 7.0-liter 375 bhp V8s. 1998 Ford Mustang Trans-Am Winner at Lime Rock! 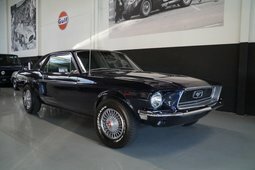 Mustang simply was the right car at the right time, with the right design and as it was selling for the right price, its debut was sensational. At the time its base price was $2,368, half as expensive as a Thunderbird and its sales exceeded even dearest prognosis. More than 400,000 Mustangs were purchased in the first year of sales – 22,000 orders on the first day. It seemed everyone was talking about Mustang and this newcomer helped Ford earn 1,1 billion in the first two years. 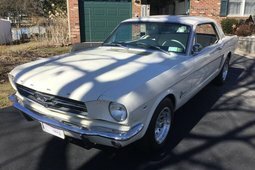 Despite the fact it was not the first car of this type, the Mustang is always remembering as a model, which established a new category of vehicle named Pony Car. Why Pony? In simple words, because it was smaller than the full-size cars, an affordable, compact, highly styled with a sporty or performance-oriented image, but it was not accepted as a status symbol. 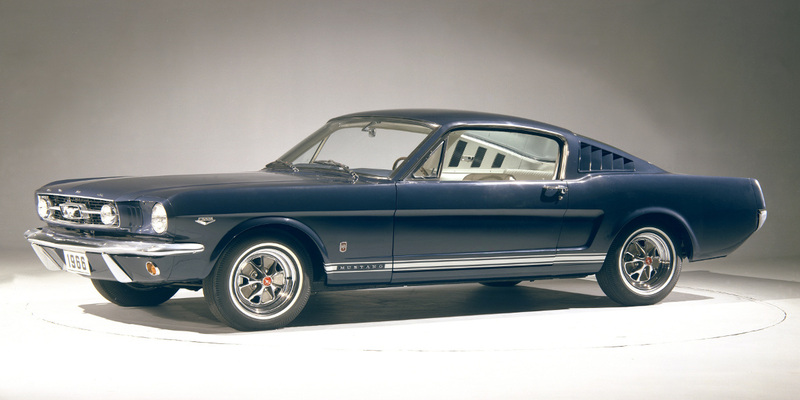 A Pony could be a coupe, a convertible or a fastback – the only constant was its four seats. All these definitions apply to the first generation ‘Pony Cars’, born up to 1970. Later the Ponys became bigger, more powerful and went far from their predecessors, so this category soon ceased. 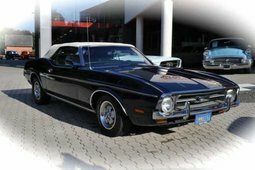 ‘Pony Cars’ mutated basically to muscle cars and 1971 Mustang was drastically redesigned. Ford increased overall dimensions and engines power, but it wasn't a success story and sales started steadily decline. 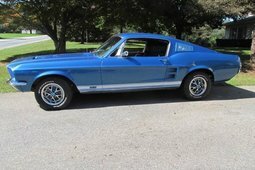 That was the reason, why Ford decided to turn back to Mustang's roots and designed a smaller car for the 1974 model year. 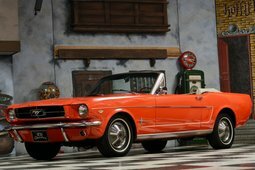 Over 3,5 million Mustangs were made in 1964-1973, therefore it’s not hard to buy one nowadays. 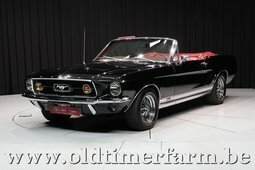 Average price for ‘small wild horse’ is $20,000-50,000, however, there are some super exclusive models, worth $200,000-300,000 or even $1 million.